(Joshua Paladino, Liberty Headlines) National Public Radio refused to sell advertisements that contained conservative and moderate viewpoints to filmmaker John Sullivan. Sullivan is the executive director of Gosnell: The Trial of America’s Biggest Serial Killer. 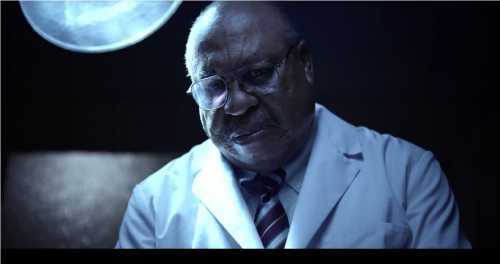 The upcoming movie, set to release Oct 12., follows the story of Kermit Gosnell, an abortionist — but NPR wouldn’t let Sullivan use the politically incorrect term, The Daily Beast reported. Gosnell was convicted of seven counts of first-degree murder and involuntary manslaughter for severing the spines of infants born alive during botched attempts to kill them. An NPR representative responded to the proposal and required Sullivan to change key words in it. “The word ‘abortionist’ will also need to be changed to the neutral word ‘doctor,’” the NPR employee said. Sullivan offered to change the term to “abortion doctor,” a descriptive term he said he thought was morally neutral. But the NPR representative told him he could change the phrase to “Philadelphia doctor Kermit Gosnell” or withdraw the ad. But NPR didn’t use a consistent standard to determine “value neutral” language, as they have run stories with the term “abortion doctor” multiple times. In fact, a simple search of NPR’s website reveals frequent uses of the terms “abortionist” and “abortion doctor” not only in their news coverage of public figures like Gosnell, but in multiple book reviews that painted the abortionists as either sympathetic characters or even victims. This leftist bias prompted Gosnell producer Ann McElhinney to question NPR’s self-professed neutrality. Sullivan was willing to pay upward of $100,000 for the slot on Fresh Air, which NPR was willing to turn down over a supposedly right-wing term.